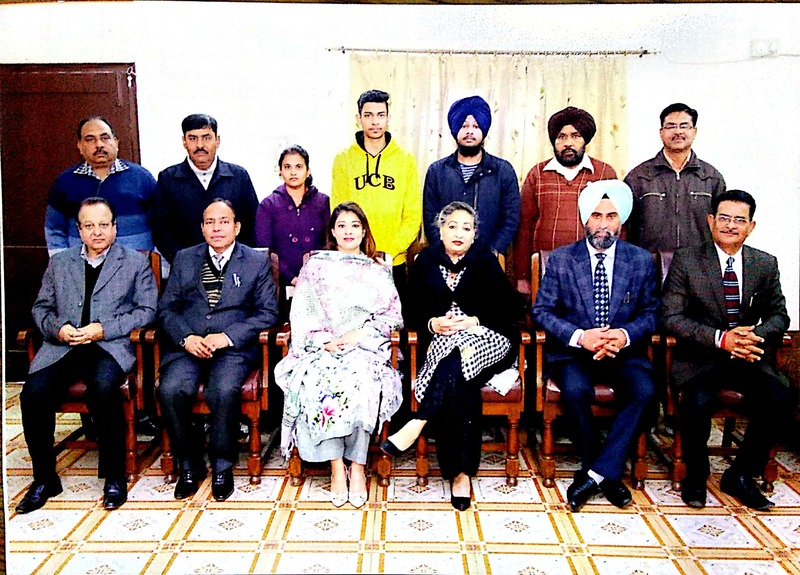 Under the able guidance of Mrs. Manpreet Kaur Bhogal(Chairperson R.E.C) and Dr. Vyoma Bhogal Dhatt(Director R.E.C) ,Ramgarhia Polytechnic College students got merit positions in Punjab State Board of Technical Education examinations.Civil Engg. 4th semester student Akashdeep Singh got 8th position by securing 752 marks and Computer Engg. 4th semester student Japesh Bagga got 17th position by securing 679 marks in State Board Examinations. For this tremendous achievement college Principal S. Jasbir Singh Khasria, H.O.D’s and teachers of both the departments congratulated the students. Our worthy Chairperson gave their blessings and appreciates the students for such good performances in State Board Examinations. On this occasion Dr. Virender Kumar (H.O.D Computer Engg.),Sh. Bawa Chopra, Sh. Raj Kumar Mahajan(Office Supdtt.),Sh. Mukesh Kant(Cheif Accountant R.E.C),Sh. Vepan Kumar, Sh. Varinder Pal Pabbi and staff members of college were also present for appreciating the hard work of students.